BEONTOP is a reliable and experienced Online Marketing and SEO agency in the UAE. We provide high-end Search Engine Optimization, Web Design and Social Media Management Services in Dubai that will allow you to fiercely compete in the modern market. Advertising is all about grasping the devotion of the correct audience and inspiring their consciousness with creative and innovative vibes. BEONTOP pride in creating memorable, exclusive and inspirational artistry for all clients. We promise to max out those achievement barriers to guarantee your brand is a reputable champion online. We have seven branches across four countries within the United Arab Emirates (UAE), United Kingdom (UK), Russia and Kyrgyzstan. Our main sphere of specialty and expertise is SEO, which emerges across both English and Russian market segments. Search Engine Optimisation (SEO) is a strong and predominant form of website promotion, technique methods to get a lot of customers and market interest to your website. This is implemented by gaining and maintaining top rankings on all various search engines such as Bing, Google, Yahoo, Yandex and many social platforms across all networks. SEO is separated into three simple phases: analysis, on-page optimization, and off-page optimization. Successful implementation of these three techniques creates stronger results and increases the likelihood of actually being discovered often by search engines. With excellent and professional SEO organic results, your brand project is sure to move and grow successfully ensuring recognition and development of the maximum number of clients. This will improve business visibility and branding, providing your business with credibility and an unmatched insight into your customers. SEO Dubai is the cheapest and most popular form of advertising from a public point of view in comparison to others. How Much SEO Services in the UAE? Prices for our SEO services depends on many factors, such as competition, amount of keywords, age & quality of the website. We are here to offer you a qualified team of specialists who are ready to promote your website at any time. Every project is treated equally by a well-structured team of professionals including project manager, analyst, SEO expert, copywriter, PR manager, link manager, designer, coder, programmer, and a dedicated account manager. Our employees have several years of experience in the field of SEO and challenging expertise in the world of Online Marketing. Of course, you can hire a specialist and pay him a salary of about AED 4,000 to 15,000 to do the entire project, but he will never be able to physically & mentally provide you same amount of works like SEO company. The cost of services from BEONTOP SEO agency in Dubai start from AED 3,450 per month for 40 keywords. We create a strategy of systematic work for every client proposal, promising monthly updates and reports from Google to enable you to track your website positions. Also, we have the unique SEO plan - "Payment After Results". You will start to pay only after achieving 1st-page position on search engine. More than 750 websites on the 1st-page of organic search results. We have much experience in SEO and Online Marketing. Payment after Rank. We can offer a unique strategy in Dubai and the UAE. No monthly fees. You will pay for top results only. 100% guarantee. We promise to get the first page positions on search engine within 3-6 months. This is true for monthly payment strategy. Online reporting 24/7. Access to 24/7 online report system, that gives you real-time data. You can track SEO results by yourself. Eight years of experience. 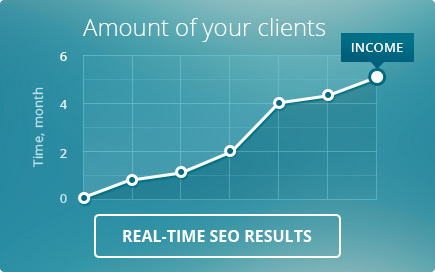 We have started our SEO firm in 2008. Search Engines are changing their algorithms and formulas quite often. We have the unique techniques and methods to keep up with those changes and to help us provide uninterrupted results for a long time. Dedicated Account Manager. We provide you a dedicated account manager that will work with you to maximize your communication between all our SEO and web development departments. Search Engine Optimization SEO in Dubai is the key service offered by our company, with the use of all professional skills and knowledge to develop the project into an excellent campaign. Our extended experience is sure to take you to the top of search engine results for any keywords. Social Media Marketing SEM (Social Media Marketing) is becoming the center of advertising allowing brands to reach out to their customers across social media platforms. This form of advertising is very utilitarian in companies, as it increases brand awareness. However, many companies predominately market their products and services through Facebook, Instagram, and many other social networks. This creates a bond between the buyer and the client as well as increasing company sales. Pay Per Click Management This is the most common type of cost search engine advertising. We are engaged in the professional management of cash at these sites, and thereby direct traffic to websites in which an advertiser pays the publisher when an advert is clicked. With this technique, we get a reasonable price and the maximum number of targeted clients or customers. Website Audit Our fast process of any site, audit identifies all the mistakes and problems of on-page optimization as well as tracking all external factors like backlinks, anchor, references to the domain by search engines. Content Writing Our content is always unique, exciting and inspiring, this is the key to success in any business. We ensure the content is of excellent quality, likewise our SEO, to make a website successful. Web Design and Development We have many different skills and disciplines in the production and maintenance of websites. We have created our own content management system that allows the development of complex e-commerce projects. Website designs are created from scratch with graphic editors, for the corporate identity of the client and their business.